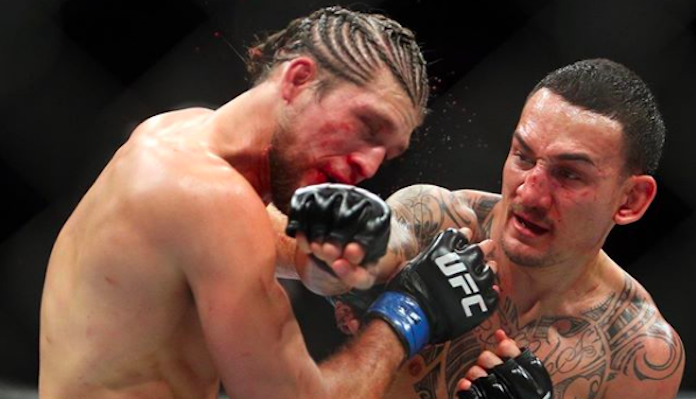 Brian Ortega challenged Max Holloway for the UFC featherweight title at December’s UFC 231 event in Toronto, Ontario, Canada. After a valiant effort, “T-City” eventually fell victim to the “Blessed Era” via fourth-round TKO. The title fight had been called off by doctors at the end of round four. Holloway landed a record-setting number of significant strikes in his bout with Ortega, but somehow the California native looked perfectly fine just a week later. Most recently, Brian Ortega took to social media where he shared the following disgusting video of pins being removed from his broken thumb. Prior to his loss to Holloway, Brian Ortega was sporting a perfect professional record of 14-0. Ortega holds notable stoppage victories over Frankie Edgar, Cub Swanson, Renato Moicano, Clay Guida and Diego Brandao. Given the nature of his injury, it is safe to assume that fight fans won’t be treated to a Brian Ortega fight in the foreseeable future. As for Max Holloway, the Hawaiian champions future remains unknown. UFC President Dana White would like “Blessed” to move up to 155-pounds, but it appears Holloway may have other plans. 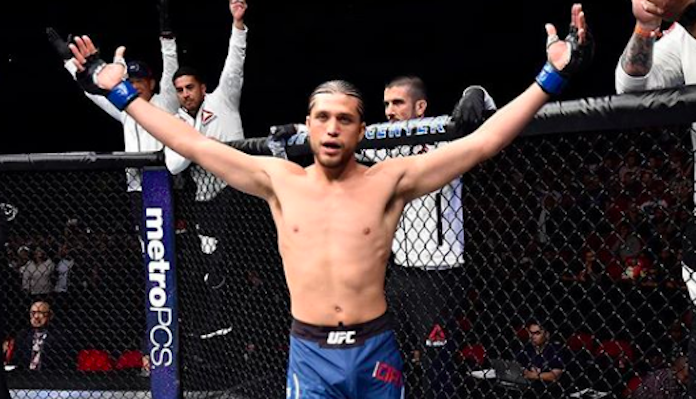 Who would you like to see Brian Ortega fight when he is healthy and ready to return to the octagon? Sound off in the comments section PENN Nation!